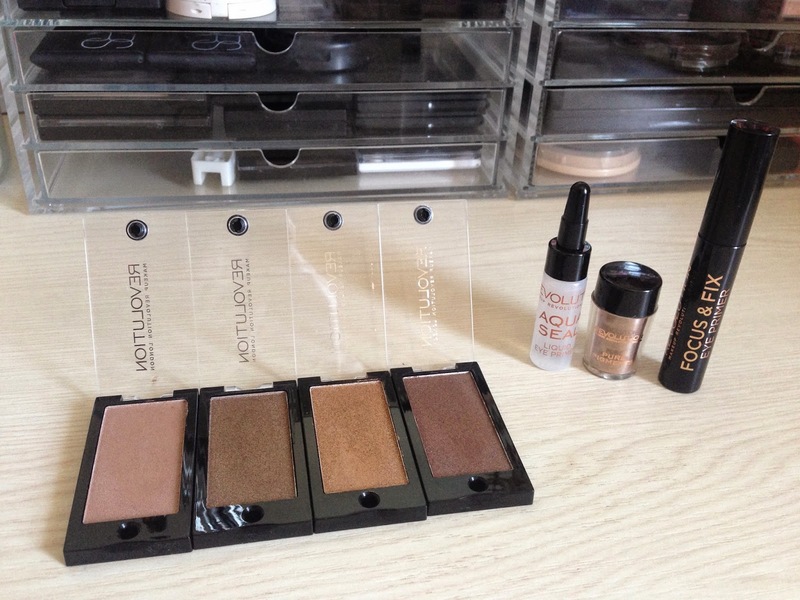 I recently picked up some eyeshadows and primers from Makeup Revolution so I thought I'd do a big post showing the shades and how to use the primers. Amazingly you can get all of the items featured in this post for £10.50 in total! 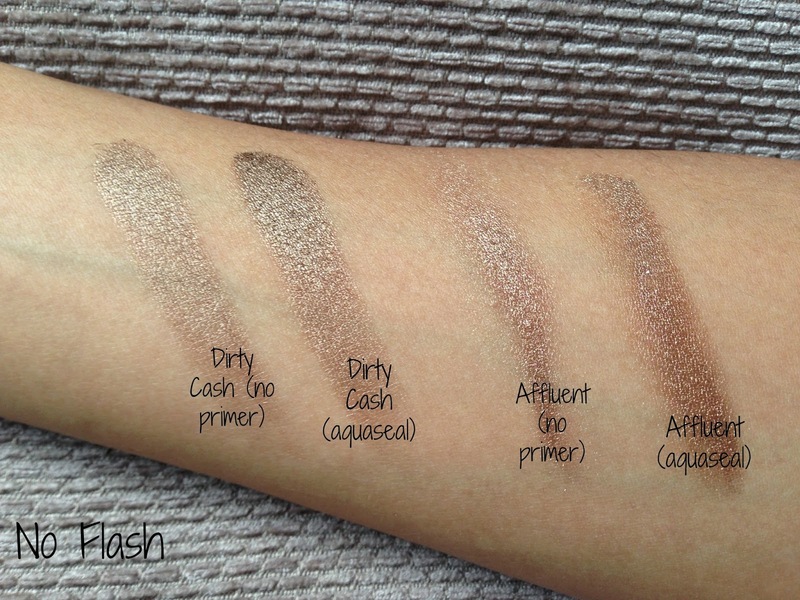 I got 3 of the £1 individual eyeshadows (all neutral shimmers) in the shades: Adore Moi (shell pink), Dirty Cash (dirty gold), I Want U (true gold) and I Need You (plum brown). 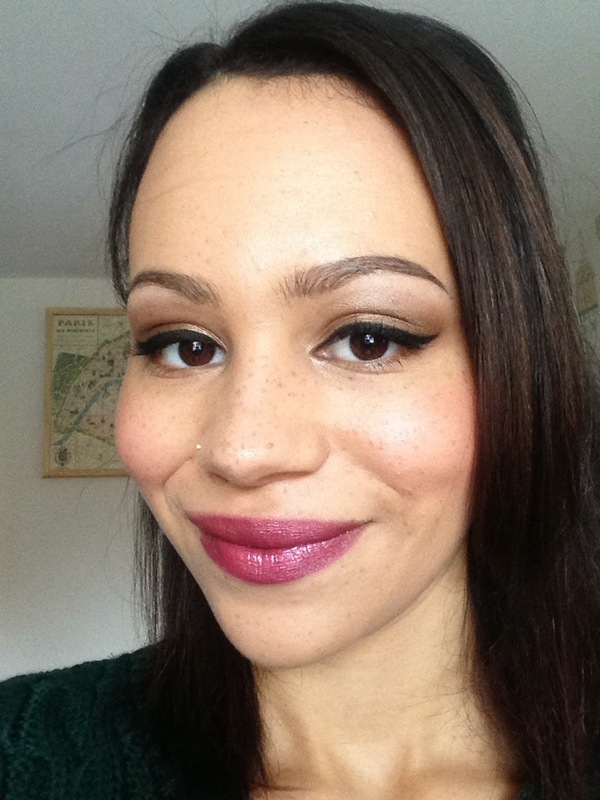 I then got a £1 loose pigment Eye Dust in Affluent (light bronze gold). I chose the Focus and Fix Primer in Original (£2.50) and the Aqua Seal Liquid Eye Primer (£3). I use the Focus and Fix Primer on a day-to-day basis. All you have to do is swipe once each eyelid with the doe-foot applicator and then blend the cream formula across the entire area with your finger. Don't apply too much as I find with cream eye primers, if you cake it on it can have the opposite effect! I find this prevents creasing, makes colours show truer and adds a couple of extra hours to your wear-time. The Aqua Seal was something a little different for me, but it's much easier to use than it appears. You just need to squeeze a little of it across your eyelids, the applicator stops too much coming out at once. 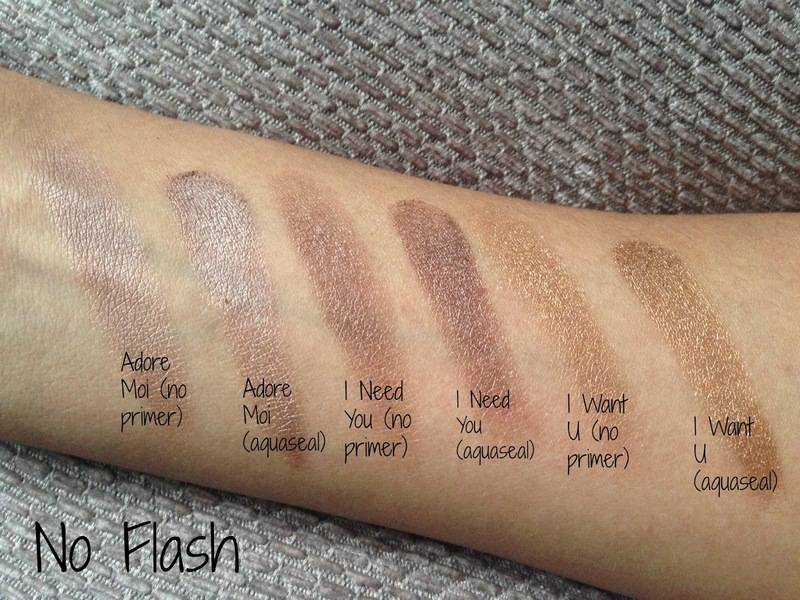 I was wowed by the difference this made and how high-impact the already-pigmented shades become. This is definitely going to be a primer I use on nights out. 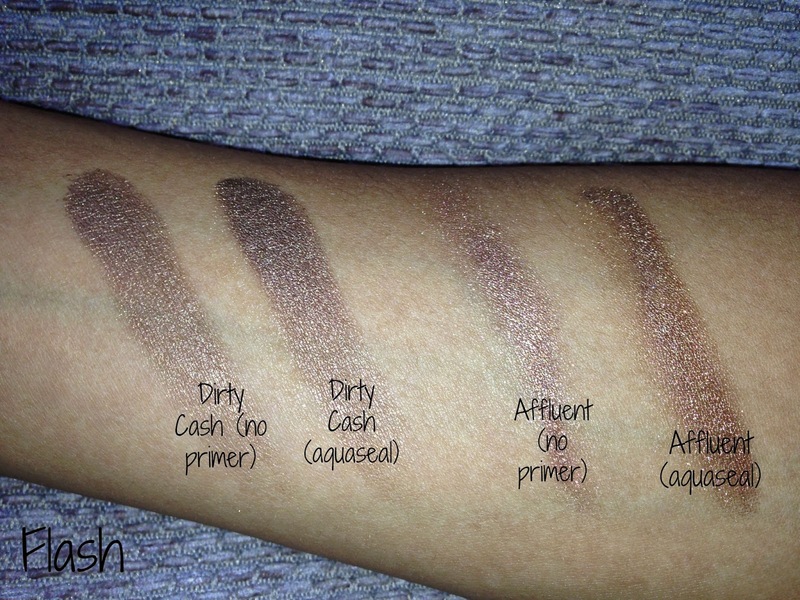 All of the above swatches were with one swipe! Not only this but once the colours are on they do not budge! 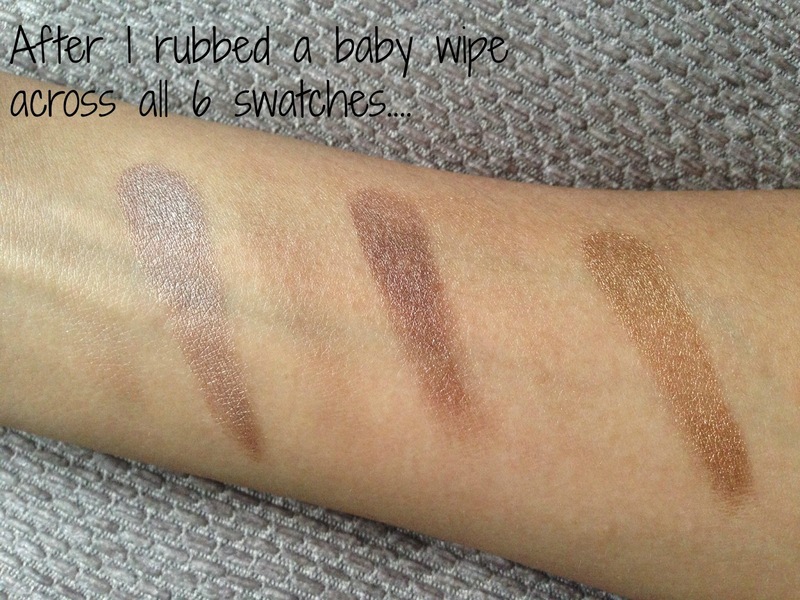 As you can see the swatches without primer disappeared after one wipe but I had to scrub for ages to get rid of the ones where I'd used the Aqua Seal. £3 well-spent, I think! You can get this level of pigmentation by layering the shades without the primer but the Aqua Seal holds it all in place. The Eye Dust was also my first experience with loose pigments. Whilst it was a little messy I really like the shade I got and the filter prevents too much coming out at once. Let me know what you think of it in the comments! 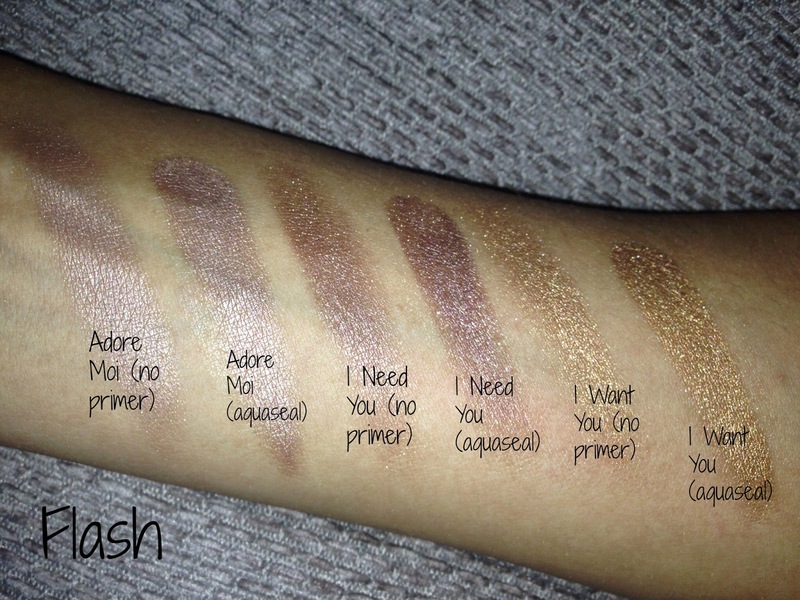 You should try the loose pigments! They are amazing! And the aqua seal is fab! I like the Aqua Seal too, I find it similar to ELF's Lock & Seal. WOW! Definitely picking up the Aqua Seal to use for nights out :) looks incredible!